The Vietnam All Party Parliamentary Group (APPG) of the United Kingdom Houses of Parliament started Monday a five-day visit to Vietnam to intensify the two countries’ relations. The Group were hosted by the Vietnamese National Assembly in Hanoi on their first day, and attended a roundtable seminar on Parliamentary oversight in the capital on the same day. The visitors are looking forward to meeting new Deputies of the National Assembly and Ministers as well as the People’s Councils in Danang and Ho Chi Minh City, the British Embassy Hanoi said. The embassy added that the APPG would discuss bilateral relations at the Ministry of Foreign Affairs and with the External Relations Committee of the National Assembly. They will meet the National Religion Commission and representatives of the Communist Party of Vietnam. The Group will play their part in developing trade and investment links between the two countries with a call on the Ministry of Planning and Investment and in meetings with businesses in Hanoi and Ho Chi Minh City. They will receive briefings from companies on the real estate and retail sectors, according to the embassy. In Danang City on the central coast, the APPG will visit the Da Nang University where the new UK-Vietnam State University will be developed. “I am delighted that the Group could visit at such an important time for Vietnam-UK relations. 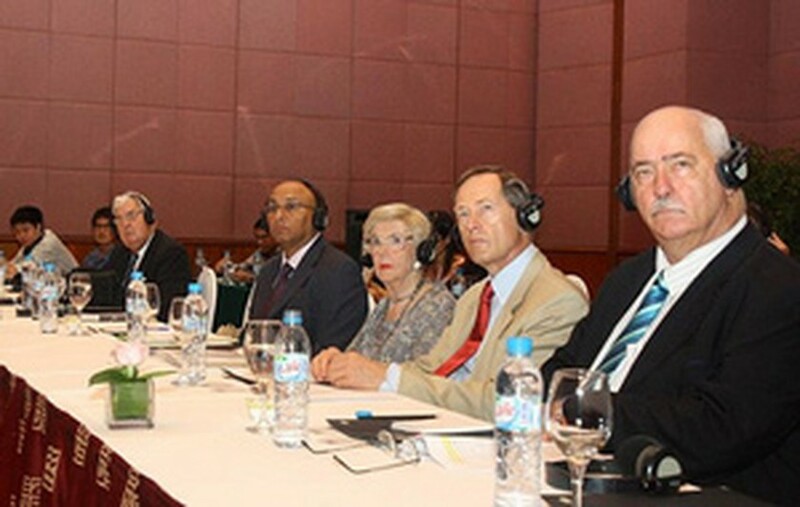 Trade and education links are developing strongly… We look forward to strengthened links that enable us to work together to help Vietnam develop,” British Ambassador Dr Antony Stokes said in Monday’s announcement. The Group last visited Vietnam in 2009. Deputy Prime Minister Truong Hoa Binh on April 24 pointed out that many fatal traffic accidents involving in positive drug drivers, drunk drivers happened in early 2019 raising public concern.